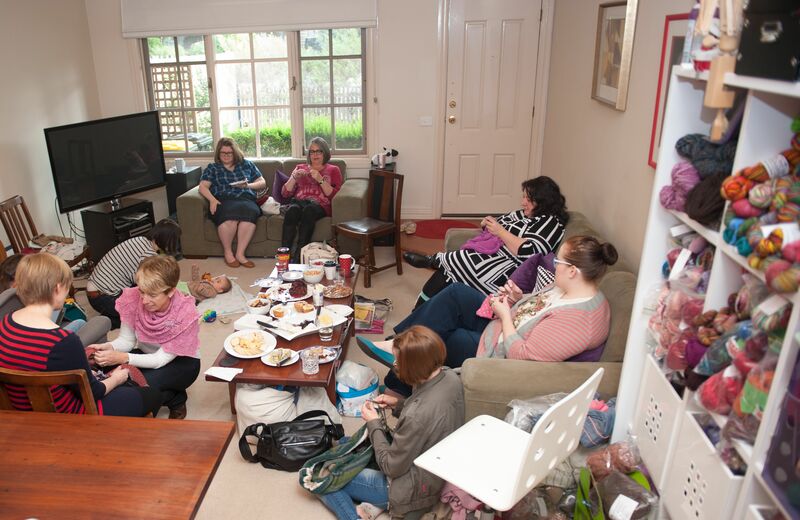 I was able to gather up some Richmond Knitters at the last minute for a bit of a Crafternoon at my place yesterday. There was a yarn shelf, some excellent knitters, a spinner, a destash (mine, yippee!) and some funny conversation. Damo’s so sneaky! I didn’t realise he shot us! Nor had I, until I asked on Sunday!